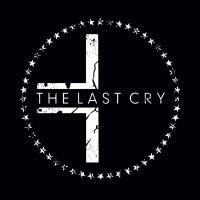 The Last Cry are a three piece darkwave band from the south coast who have earned a reputation for an impressive and extravagant live show. Last year's Living in Grey is melodic, melancholic, edgy and powerful. They skilfully combine keyboards and guitars weaving around the bass lines and coming together with the heartfelt and emotional vocals making their sound as distinctive as the mixture is and drawing the listener into a lyrical maelstrom of fear, despair and void.